Documentary examines the life and work of Bakelite inventor Leo Baekeland, the father of modern plastics. 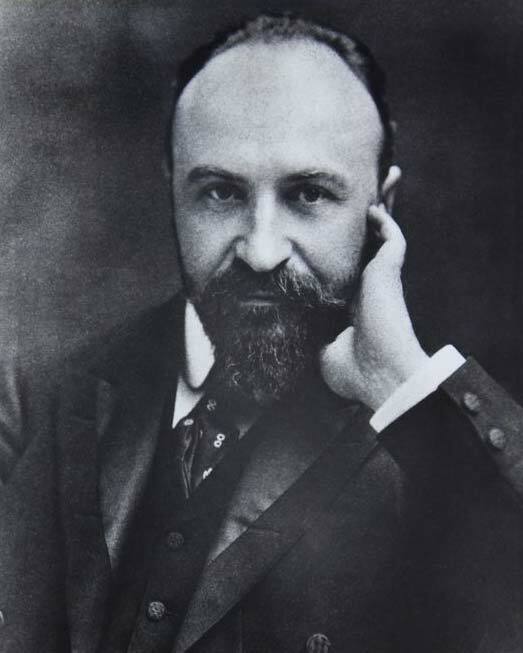 Leo Hendrik Baekeland may be the most important inventor you’ve never heard of. 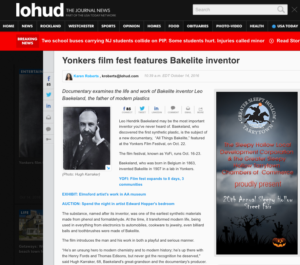 Baekeland, who discovered the first synthetic plastic, is the subject of a new documentary, “All Things Bakelite,” featured at the Yonkers Film Festival, on Oct. 22. The film festival, known as YoFi, runs Oct. 16-23. Baekeland, who was born in Belgium in 1863, invented Bakelite in 1907 in a lab in Yonkers. The substance, named after its inventor, was one of the earliest synthetic materials made from phenol and formaldehyde. At the time, it transformed modern life, being used in everything from electronics to automobiles, cookware to jewelry, even billiard balls and toothbrushes were made of Bakelite. The film introduces the man and his work in both a playful and serious manner. “He’s an unsung hero to modern chemistry and to modern history; he’s up there with the Henry Fords and Thomas Edisons, but never got the recognition he deserved,” said Hugh Karraker, 68, Baekeland’s great-grandson and the documentary’s producer. The film, directed by John Maher, includes rare archival footage, photos, first-person accounts plus interviews with scientists, historians, and artists; actors re-enact parts of the Belgium-American scientist’s life. Much of the material was supplied by Karraker, including information from Baekeland’s 62 diaries. Baekeland’s lab was in his barn at Snug Rock, his riverfront mansion in the Harmony Park section of Yonkers. According to Karraker, the lab was built in the barn in 1899; it burned along with the house in a suspicious fire in 1957. Before Bakelite, his first big invention was Velox, a paper for printing photographs that Baekeland sold to Kodak founder George Eastman for $750,000 in 1899. He eventually sold his interest in Bakelite to the Union Carbide Co. for $16.5 million in the mid 1920s. He died in Beacon in 1943. Today, items made from Bakelite are considered collector’s items. “The jewelry is a selling point, but very few people know about the history,” Karraker said. The film has been eight years in the making, Karraker said. Initially, his mother planned on writing the story but Karraker took over the project with the blessing of his family in order to illuminate the story of Bakelite. The film screening is free. Maher and Karraker are hoping it gains entry in the Sundance or Tribeca film festivals later in the season. He hopes moviegoers gain some insight about the product and the man behind the invention. “I don’t have any theories on why he wasn’t recognized, but he was not a boastful man and kept a low profile most of his life,” his great-grandson said. He said his great-grandfather was an inspiration to him and his mother because of his contribution to science and the world; something he hopes people who see the film will acknowledge.